You will Watch G.I. Joe: A Real American Hero Season 1 Episode 47 online for free episodes with HQ / high quality. Stream cartoons G.I. Joe: A Real American Hero Season 1 Episode 47 The Traitor (Part II) In order to prove himself in Cobra, Dusty must battle a Cobra soldier named Lt. Claymore in the Arena of Death with man-eating pirana. G.I. Joe revamp security and launch a full scale assault against their former comrade and Cobra to protect their armor treatment project. 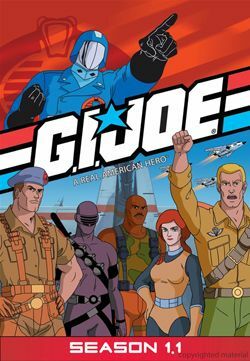 But when the Joes are captured by Cobra Commander to be subjects for his mind control gas, an unexpected twist of events proves that not all is what it seems.